Hand crafted using the old-world tradition of casting, this 2 oz Skull and Crossbones Silver Bar is an eclectic piece from the Atlantis Mint’s collection of hand poured bullion pieces. 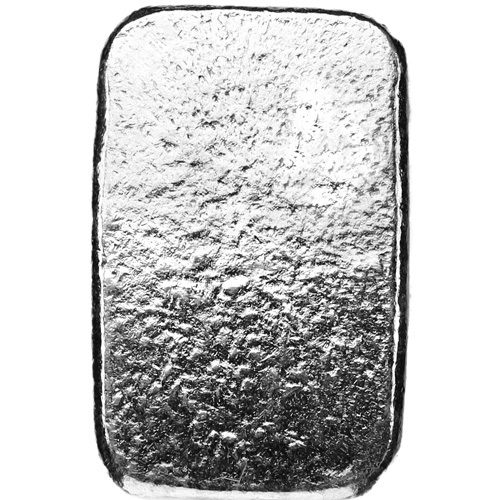 Although time consuming and difficult to execute, the traditional minting process of pouring molten silver into a mold and allowing it to cool allows for an individuality of form in bullion that is not possible through more modern minting technique. Consequently, such pieces are considered quite valuable among collectors and investors due to their distinct features. Produced with 2 troy oz of .999 fine silver, the skull and crossbones bar is ideal for clients in search of a less conventional bullion piece for their collection of silver. 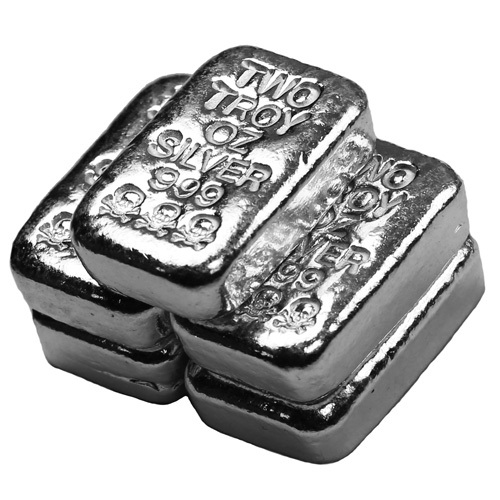 Because Silver.com receives its bars directly from the Atlantis Mint, customers can place their purchases in complete confidence that they are receiving authentic collectibles in brand new condition. In order to preserve the value of these investments, all bars will be shipped securely with protective packaging. The skull and crossbones bar features a rather sinister design that is reminiscent of both horror films and swashbuckling pirate epics. Inscribed on the upper portion of the front side is the bar’s weight and purity. Peering out menacingly beneath this information are a row of three skulls and crossbones, each with an eerie grin. It is not difficult to imagine this eerie design engraved on a headstone or waving from the mast of a pirate ship. 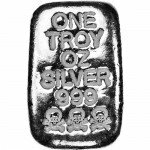 The 2 oz Atlantis Skull and Crossbones Silver Bar is unique collectible that is appropriate as both an investment or as a gift. 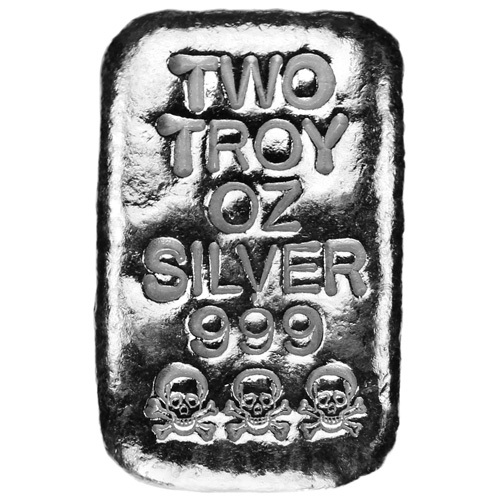 If you would like more information of the 2 oz Skull and Crossbones Silver Bar or want to place an order, please call us at 888-989-7223. Customers can also obtain further assistance through the website’s live chat and online form submission features.